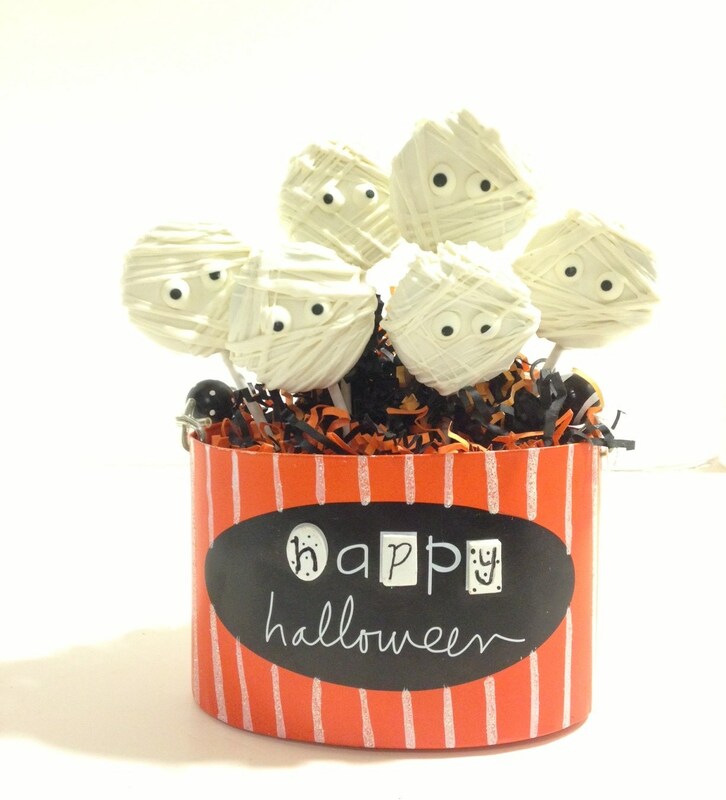 Mummy cookie pops dipped and decorated in white chocolate arranged in a bouquet makes a great centerpiece and a delicious treat for everyone. 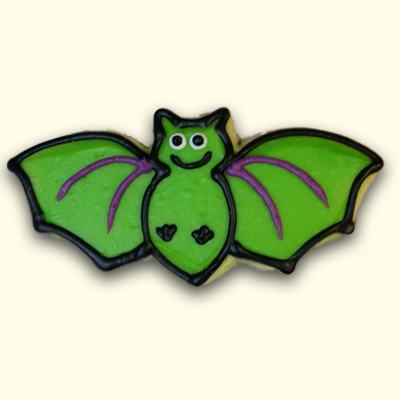 We dip double stuffed Oreo cookies and decorate seasonally or for any occasion. 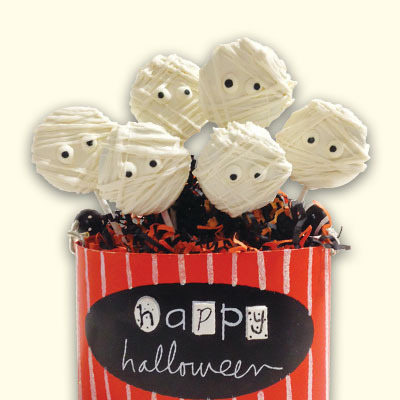 Each cookie pop is individually wrapped with a ribbon and arranged in a container. Containers vary. 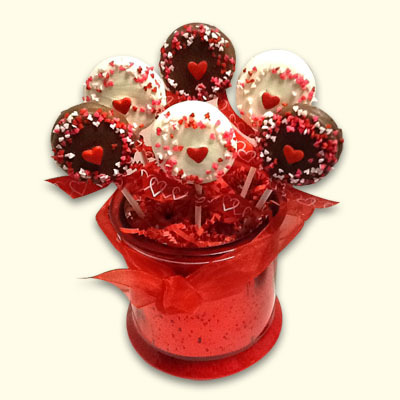 Our birthday Cookie Pop bouquets are a favorite too! Container may vary.